Having won awards for his monumental sculptures since 2006, jonathan has built a reputation not only for what he calls SOUSes (Sculptures Of Unusual Size-- a wink to The Princess Bride), but for creative avenues of audience participation that invite his visitors to contribute something of themselves to the work. This humble expression of generosity has resulted in some fascinating and intimate sharing amongst strangers on the scaffolding of his sculptures. But high-concept participation isn't the main goal of his work. "If good sculpture is the balance of form and function," says schork, "then a sculpture without an obvious aesthetic is just performance art that excludes a big section of our audience. Our work can't just be an idea; at the end of the day, it has to be real, like us-- flesh & blood." 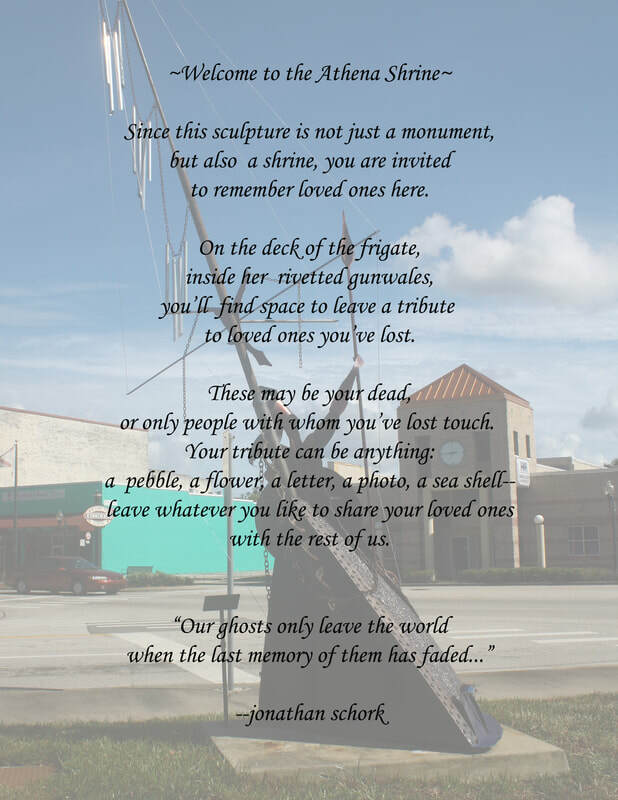 Current interactive monumentals include Athena Shrine in Lakeland, FL (see below), From the department of big things, #1, in St.Petersburg, FL, and For the Children of Astrios & Eos i: Canticle, in New York. The ​Athena Shrine​, currently on display in Lakeland, Fl, for the 18th Annual Florida Outdoor Sculpture Comp. jonathan schork has been making sculpture in a variety of media since the 1970s, establishing himself with his monumental sculptures in key west from 2004-2010. he also works in smaller scale, though, & currently shows his work in downtown st. petersburg, fl. click on the store button to view items available for purchase. schork also designs and creates both small & large scale pieces on commission; click on the contact button to inquire about a project in which you might be interested.